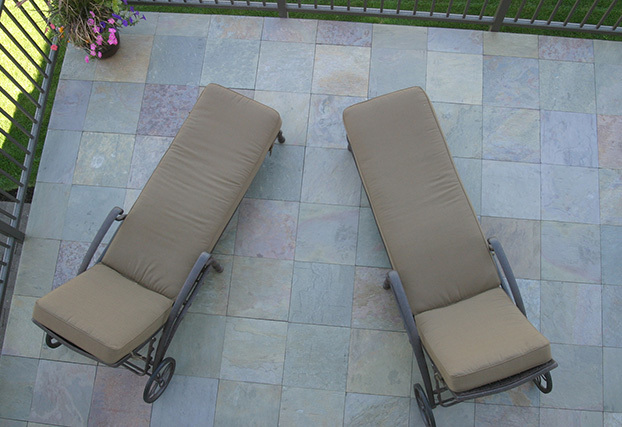 Outdoor Floor System® is a durable decking technology for placing porcelain, thin gauged stone, paver grade material or mixed media–i.e turf, plant beds, rubber pavers– placed in any orientation, uniform or mixed modular sizes, over joist framing on an elevated deck or waterproofed rooftop terrace on pedestals. 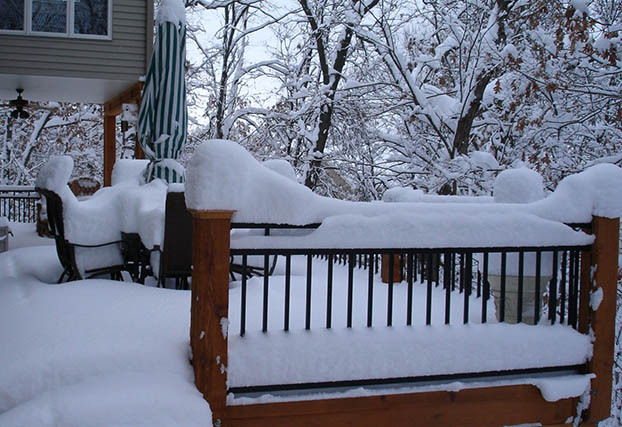 It utilizes components that are inert to moisture and the damaging effects of freeze-thaw cycles. 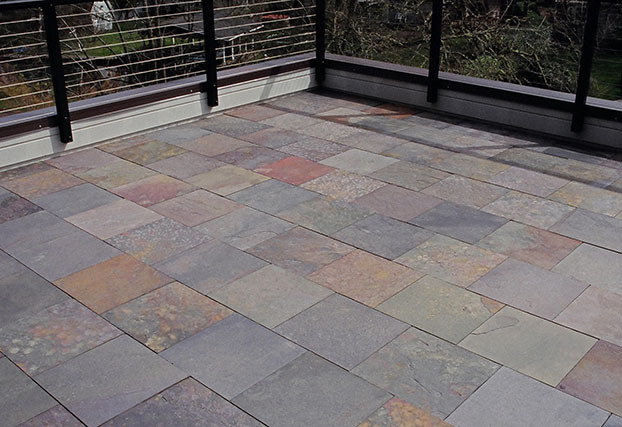 The permanently flexible adhesive, open joints and open, free-draining structural GRATEDEX® or elePHOOT® Deck Plank structural panels allow water to drain away from the finished flooring achieving a zero-maintenance decking surface. 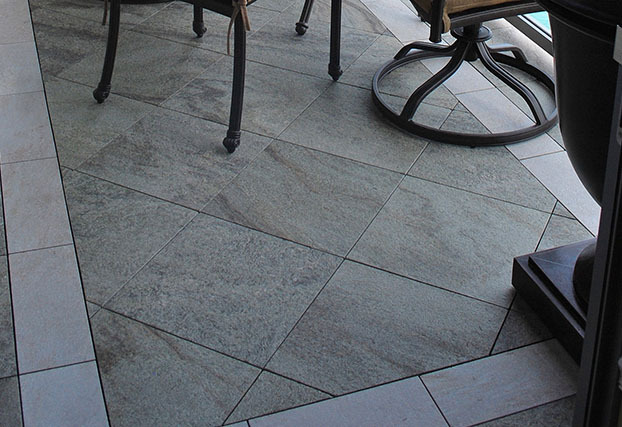 Whatever the outdoor living condition, Outdoor Floor System® has a solution. 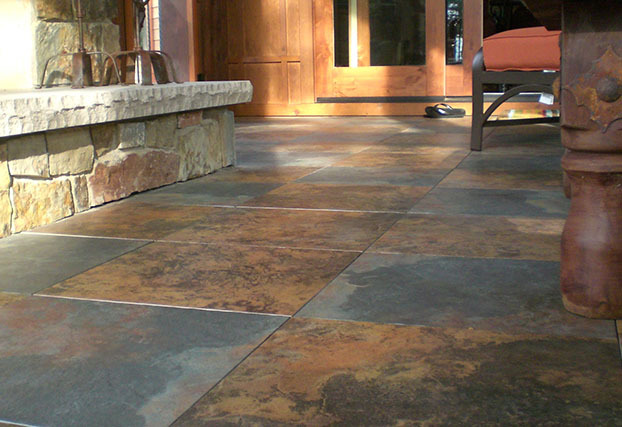 Review application conditions and installations. 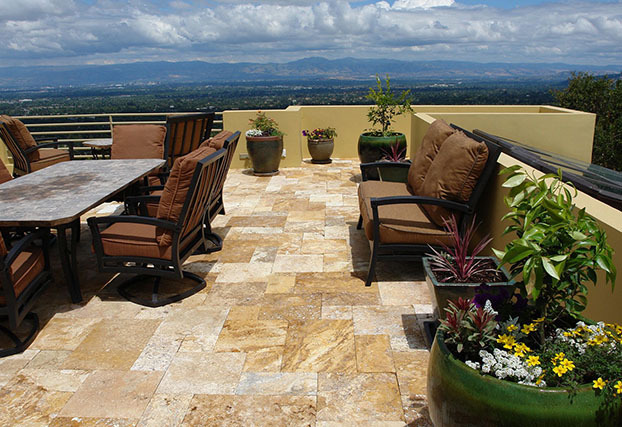 PierdeX® Outdoor Floor System™ pedestal rooftop terrace above waterproofing. 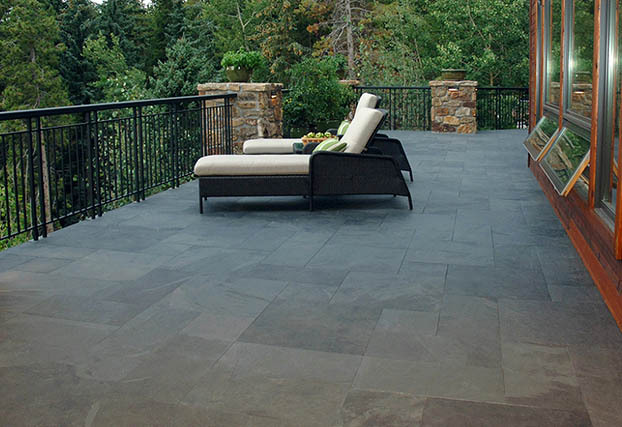 GratedeX® for Colorado cold supporting Brazilian slate modular tile. 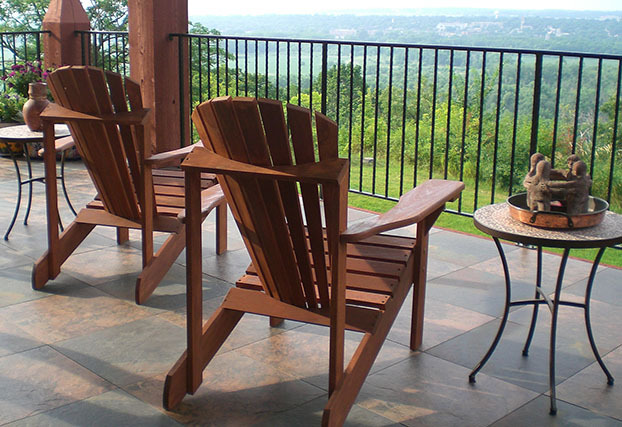 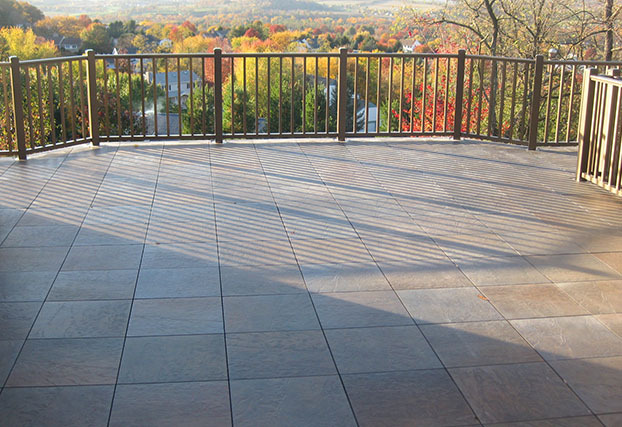 GratedeX® deck terrace in Minnesota supporting porcelain tile. 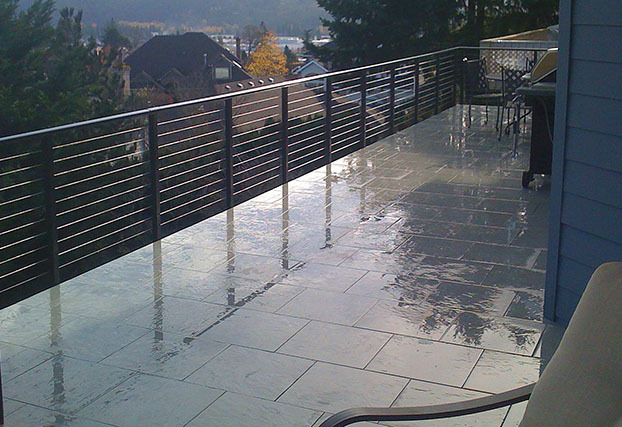 GratedeX® Outdoor Floor System™ elevated deck on traditional joist framing. 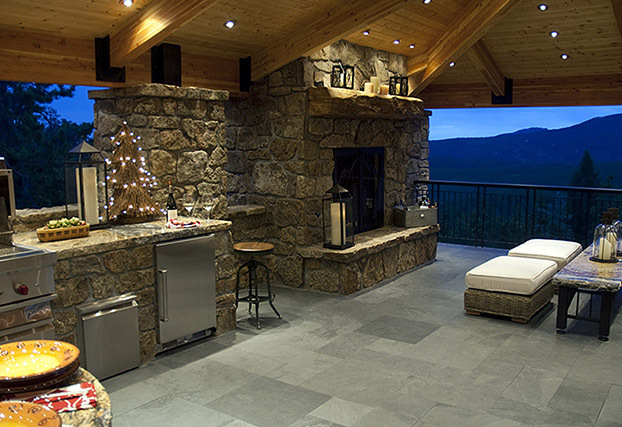 GratedeX® light weight floor system over wood joist framing supporting gauged tile. 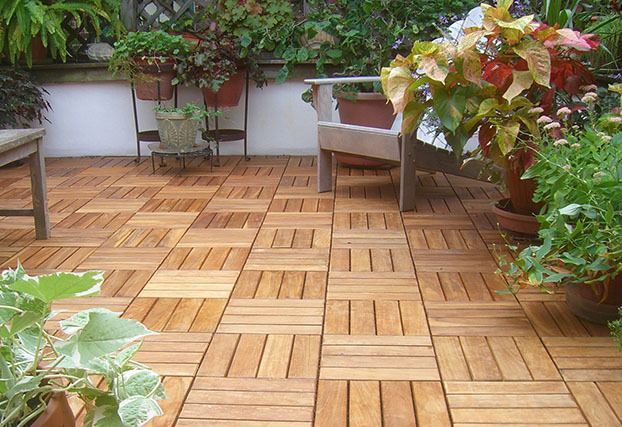 PierdeX® elevated pedestal underlayment supporting wood panels. 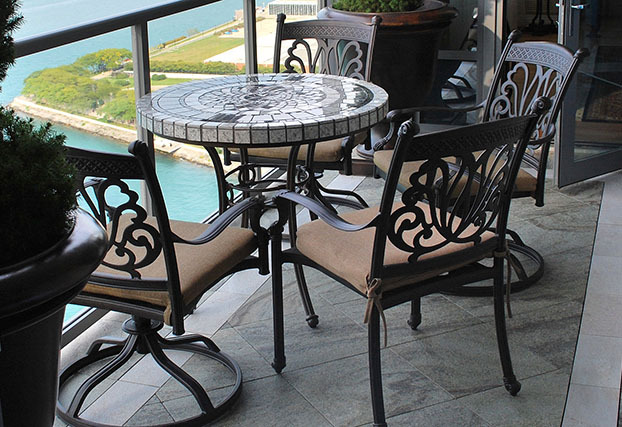 GratedeX® Float on Chicago balcony supporting quartzite tile pattern. 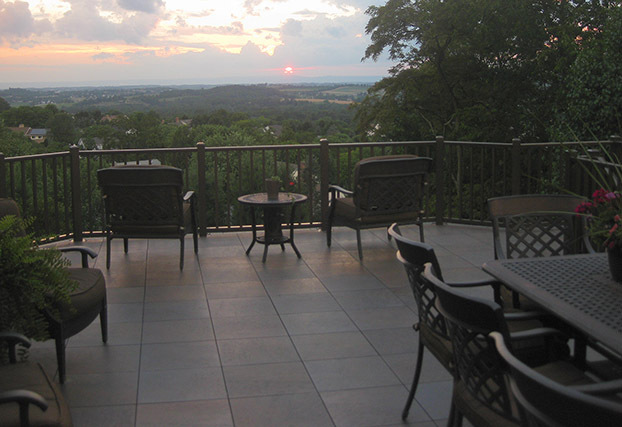 GratedeX® Float rooftop terrace supporting thin gauged natural stone. 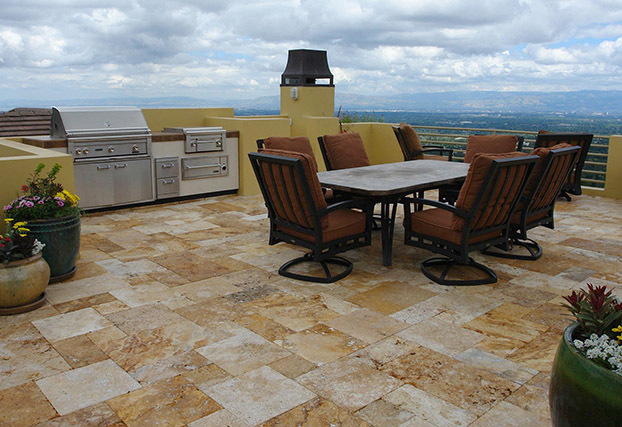 Outdoor Floor System® underlayment assemblies utilizes an open celled structure adding LEED value with the collection of rain water and supports a variety of stone or tile materials that could be manufactured from reclaimed or recycled materials also adding potential LEED value.